Publishing: Global Version of “Pocket Knights 2” Starts Today! Login Bonus – Players can log in to receive accumulated diamonds by day. Discount Event – Players can participate in to get more benefits. PITAYA NETWORK is devoted to mobile game publishing with huge passion and full attention. We aim at delivering the most outstanding mobile games into the overseas market. Until now, we have achieved critical success with Dungeon Warriors, Pocket Knights, and KungFu: Legendary Brotherhood. The following three games lightning improved high ranking and feature both in the Apple Store and Google Play Store. We are primarily striving to keep game oriented and force on player’s awesome game experience. Pocket Knights 2 will launch its global version on android platform. Meanwhile, here are some giftcodes(including Lvl 2 Gold Seed*10, Lvl 2 Diamond Seed*5, Wisdom Light*1 (Role Weapon), Exp. Gear II *5) for players. This entry was posted in Articles, Publishing and tagged 001, 2, and, android, apple, arpegi, blogging, buttonsmashers, codes, content, devoted, Dungeon, for, games, global, information, iOS, jea, Jonez, jonez001, jonezjea, knights, kungfu, mobile, more, neko, NekoJonez, network, Of, pitaya, pocket, press, Publishing, release, rewards, smartphone, special, starts, test, To, today, two, version, warriors on March 9, 2018 by NekoJonez. Publishing: Return of Warrior Celebrates the Lunar New Year with Special Items, More Gold, Rare Treasure Chest! From the developers of Return of Warrior (Risk Your Life) comes an exciting Lunar New Year and the Pyeongchang Winter Olympics celebration. Warriors can join the festivities from February 14 to 23 and receive great rewards! February 20, 2019 — The Earth Dog is roaming the world as we celebrate the Lunar New Year in China, Taiwan, and other countries! In celebration of the coming of the Year of the Earth Dog, 3D fantasy MMORPG Return of Warrior, developed by Youxiland Digital, has prepared a 10-day long event for all Warriors. With increase chances of getting more gold, special items, and B and A Level Items, this is a great chance for Warriors to upgrade and get even more stronger! Warriors of Levels 65 to 85 can also play the Web Drawing game 3x every 24 hours. A more detailed breakdown of the updates can be found on the official website: https://goo.gl/JjSdhg with details on the drop rate and experience increase. Return of Warrior is a 3D fantasy MMORPG from the game developer Youxiland Digital. Based on the original Risk Your Life game, players in Return of Warrior are divided into two faction–Humans or Ak’Kan–and are pitted against each other in duels and massive wars. Featuring a unique combat system, hundreds of quests, unique items, and fourteen (14) different classes, players are guaranteed to have an endless adventure in the world of Return of Warrior. Warriors will also have a chance to meet the Winter Olympics mascot in the game and may receive a special gift as a commemoration of the XXIII Olympic Winter Games or the Pyeongchang Winter Olympics. The Return of Warrior team is diligently working on new features for the game. The developers would like to share their loyal Warriors that the maximum level may be increased to 90, and there will be many new rare items and possibly a new map to be added in the future. There is no better time to Return and become a Warrior than today! Visit the official website at http://rowplayon.com and like our Facebook Page ( https://www.facebook.com/rowplayon/ ) for more information, updates, and event announcements! Return of Warrior is a 3D fantasy MMORPG with a unique combat system, based off of the original Risk Your Life (RYL) game. You choose between two factions; Humans or Ak’Kan and fight in duels or giant battles. Protect your faction in order to salvage an overpopulated world. Take part in quests or missions, fight other players and trade virtual goods. All elements aim to secure your faction to win against the enemy! The 14 different classes are: Warriors, Defenders, Assassins, Archers, Sorcerers, Enchanters, Clerics, Priests, Attackers, Templars, Gunners, Rune Officiators, Life Officiators, Shadow, and Officiators. Action-packed PvP! Tons of Quests and Mission to Complete! Compelling and Intuitive Skills and Combat System. Great, Treacherous and Exotic Terrain New Maps! Established in 1994. With its years of experience in R & D, agency and sales of game software, it is composed of a research and development team from the world’s most professional Internet Contents software, Road games, and further develop software services such as e-commerce, entrance websites, telemedicine, distance learning, industrial product testing and health and beauty services to enhance the quality of human life and bring joy to the world. This entry was posted in Articles and tagged 001, android, arpegi, buttonsmashers, celebration, chest, digital, gameplay, gold, holiday, iOS, items, jea, Jonez, jonez001, jonezjea, kit, lunar, mobile, more, neko, NekoJonez, new, Of, press, Publishing, rare, release, return, returns, special, treasure, warrior, with, years, youxiland on February 20, 2018 by NekoJonez. So, hello there. Thank you for dropping by this week on my blog. Usually, I try to write an article each week, but this week I have something special for you guys and girls. In any case, next week will be the first article in a two-parter! But I’m going off topic. Go to the Red Mage blog and read the interview and let us know what you think about it! Also, show the Red Mage some support since I would love it that his blog grows! Thank you for reading and I hope you enjoyed this as much as I enjoyed writing it! I hope to be able to welcome you in another article on my blog, but until then, have a great rest of your day and take care! This entry was posted in Articles, Personal and tagged 001, a, and, answers, arpegi, article, blog, blogger, information, interviews, it, jea, Jonez, jonez001, jonezjea, link, mage, more, neko, NekoJonez, Q, questions, red, special, tags, The, To, well on December 16, 2016 by NekoJonez. Android Games you should try #5: Requests. I love getting requests by people who actually develop games. I feel honored and I actually like doing them. It’s the reason why I put a contact page on my blog. Anyways, it has been quite some time since I actually wrote about Android games. That has a reason, I didn’t play a lot of Android games I wanted to talk about in the past few months. Yet, there are a few that slipped under my radar so I will correct that mistake. It’s time to talk about some Android games. I write a short review or talk about why you should play that game and give a score on 5! And as usual, feel free to leave a comment on this article with your thoughts on the games, content and or the games I should take a look at in the future! The developer of this game told me that this game is released rather recently and he was looking for some feedback and some exposure. So, when I booted it up, I didn’t know what to expect. The screenshots on the store page didn’t explain what this game is about. That’s one of the issues I had with the game. I didn’t really understand the game. After a bit of trail and error, I think I got the hang of it. You play against another player or CPU. Each one starts out with one bubble. You can do one of three moves. Split, grow or move your bubble. It’s your goal to get rid of the other guy (or girl)’s bubble. The suggestion I would give to the developer of this game is that he adds a sort of introduction area. A sort optional tutorial that teaches the basics to beat a CPU on easy mode with ease. On the store page he says that it’s interesting to young children. I’m sorry, but I put this to the test and the children, who were aged in the rage of 5 – 12, didn’t enjoy the game. Before I talk about the other games, apart from what I mentioned above, the game is quite nice for a first game. Decent and responsive controls, amazing menu work, great music and nice visuals. In conclusion, this game has potential, it just needs a bit more polish to make the entry level and the learning curve a bit less harsh. I tried various games that tried to emulate cookie clicker. Since that game was released, I wanted to try it out as well. But I quickly lost interested. But when I saw this game in the Google Play Store, I was interested. A Cookie Clicker clone that’s IT-themed? Yes please! It didn’t take long before I got myself hooked on the game and I spend various hours on it. If you follow me on Twitter, you might have seen this coming since I actually tweeted a few interesting news items of this game. The humor in this game is just amazing! This game also needs to get an award. This is an amazing example how microtransactions should work. You can buy special red gems but you can get 25 of them free each day. The catch here is that you get them rather easily. Also, when you connect to WiFi, you get the option to enable ads for a few seconds for in game rewards. That’s just amazing! The only negative of this game is that sometimes the prices are a bit unbalanced, but hey, how else they make getting the next level rewarding? I didn’t see this one coming. This puzzle game is one of most simple games I played in a while. I don’t mean this in a bad way! When you press any button, the game shows you the possible moves. And thanks to that, I was able to figure out how the game works in no time. Your goal is to cut all the buttons from the piece of fabric. You can only cut the buttons from the same color away, as long as there are no other buttons in between them. Since you can also cut diagonally, this game offers quite a big challenge. This game is nice to play in short bursts. The only flaw in this game is that they don’t offer a mode for people who are colorblind. Since the contrast mode isn’t really that helpful if you are colorblind. I discovered this one only rather recently. At the start of this week actually. So, I can’t say that I had much fun with it since, yeah. I barely started getting into it. But it’s that good that it deserves a spot in this list. It’s a puzzle game where you get various shapes that you need to fit in a grid. As soon as you put a whole line full with blocks, they disappear. Your goal is that you can keep placing the blocks that the game gives you. The only negative I have with this game is that you only get new blocks if you placed all blocks from the bottom. A nitpick I have is that the ads when you loose are too much in your face. It’s something I don’t like at all. Alright, I think I’m going to wrap up this article here. Thank you for reading and I hope you enjoyed it. Hopefully you found out about some new Android games that you could play in the waiting room or on the bus. If you ever find new interesting Android games, feel free to send them to me. I might cover them on my blog if I like them or if I dislike them. I love user feedback. In the meantime, I will be on the lookout for new Android games myself. I actually want to write these kind of articles more often. Since this way I can give more then one game some time to shine. Anyways, take care and I hope to see you in another article! This entry was posted in Game Quickies, Reviews and tagged 001, 1010!, and, android, arpegi, billionare, bitcoin, bubbliminate, buttons, buttonsmashers, by, five, full, games, how, indepth, jea, Jonez, jonez001, jonezjea, neko, NekoJonez, number, out, play, puzzle, quick, request, review, scissors, should, special, stuff, ten, tenten, To, try, you on February 25, 2015 by NekoJonez. 7 th February is my 22nd birthday. So, I saved a special article for today. A week or two ago, a company called ManCrates mailed me with the question to write an article about what I would put in a crate when the theme is “gaming nostalgia”. They asked to talk about my personal memories. They found the right guy, since the fact is that the series of gaming nostalgia is exactly these kind of articles. So, here we go, let’s talk about what I would put in a crate about nostalgic video games to me and why. Before I continue, I invite you to take a look on their “gifts for men” page. And as usual, feel free to leave a comment on the content of this article. I wasn’t the only person they asked to write an article. 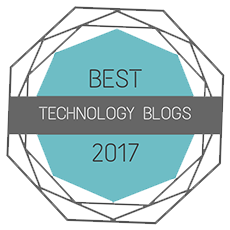 They asked a few other bloggers to write about it. If you want to read more about them, I’m so free to link their articles. Also, this isn’t a sponsored article. Somebody of the company mailed me to suggest this article and I liked the idea. But if you are interested in the company, feel free to browse their site. Before I put the crate together. So, I took a look at what crate they offered for us gamers, and I looked at the biggest package of them all. Honestly, I think the create has great content but I wouldn’t put sweets in it, since if you would start shipping them overseas… You might run into people not liking candy from other countries and/or cultures. But hey, it might be a surprising nice experience. Anyways, I’m not reviewing the create, I’m making one myself. Please forgive me if I also think a bit business-wise. The reason for that is that I did a business education. It’s a sort of reflex to me. So, in short, my gaming life from child till now. I played mostly gameboy games. I rarely played on other devices. I also played on the computer but I didn’t had many DOS-games or things like that. I grew up on Gameboy games and the underdog PC-games. My first console was the Nintendo Wii. Now-a-days, I own a SNES, PS1 and 2. I own a PSP. I kept up with the Nintendo handhelds and I also got them all. So, that would make my crate that more unique and special. If you played on the Gameboy, we all have been there. The moment that the LED starts to fade and you realize, that the batteries are dying. Then a pack of AA and AAA rechargeable batteries would come in so handy! At first I would put the adapters on this list, but that would be too much actually. Since all gameboy’s use a different cable. I think that would be kinda tricky actually. So, this is a great alternative actually. Man, and it has to be a big charger. Not one for two batteries since that’s not for MEN. A gamer wants to sit comfy. What could be better then a cushion. Also, most fans of retro gamers like myself turn into collectors and an item like this would be a nice decoration to their gaming room. I have several bed sheets of Mario and Pokémon so go I to sleep and wake up with games. Maybe it would be amazing to have a pillow then that goes with it too. You could argue that you get things to pull over your pillow with the sheets, but as a gamer it doesn’t feel the same. It feels cheap and easy. Like they just put a name on something to sell it. Now that I think about it, I would take great care of this cushion. I don’t want it to get damaged. It would ruin the look. So, what if you could tell the time and remember the amazing memories of playing on the gameboy at the same time? Wouldn’t that be cool? Sign me up for it. Most “gameboy watches” I found on the internet were just prints with the gameboy printed on a cheap plastic watch. The actual clockworld should be in the shape of a gameboy. While writing this segment I actually start to have memories about a watch I used to have that could store messages and it was a calculator. But I don’t think that this watch should be able to do that, since I remember it was a pain to push those extremely tiny buttons to get something done. Well, putting my own box together isn’t as easy as I thought. Honestly, I stopped myself since in the end I went a generic route. I mean that this are just everyday items in the theme of my love for gaming. But what are my greatest memories about my childhood if it comes to games? Well, that’s something you can’t put in a box in the first place. I was so happy that I finally got something which I could use to interact with other kids. I was a very shy kid and I didn’t connect with a lot of people. But if I did, man, the feeling was glorious. That’s partly why writing blogs is so addicting to me. The community I feel that I’m part of. People who read my articles and people who give me feedback. Anyways, sometimes I feel rather jealous of other people when they talk about their memories with video games. They can talk about playing with parents or family. That’s where my family differs. Apart from my uncle, I’m the only one who plays games. I think I’m going to wrap-up this article here. I could ramble on about this subject and maybe I will on another day. But I want to thank ManCrates for this interesting idea. It actually gave me a few new ideas to write about in the future. Thanks for reading and I hope you enjoyed this article. Take great care and until the next article! This entry was posted in Articles, Gaming Nostalgia and tagged 001, ad, and, arpegi, articles, birthday, blogger, blogging, box, buttonsmashers, crate, crowbar, gameboy, gaming, in, information, items, jea, Jonez, jonez001, jonezjea, loot, mancrates, Merch, merchandise, more, my, neko, NekoJonez, nostalgia, other, own, special, stuff, tags, The, very, what on February 14, 2015 by NekoJonez. Game Music: My Favorites – Numbero 11: GB(C) month special. Let’s start off with an article that last month’s theme lacked. An article about video game music. In this series, I take a look at my favorite game tracks. I can’t pick one track as my favorite and since I want to talk about so many tracks, I started this series. This time I want to talk about my favorite tracks of some gameboy (color) games. Keep in mind that these are my favorite tracks and they might differ from yours. Also, this isn’t a top 10 or anything like that. So, don’t be mad if your favorite track isn’t in this article. Man, I’m sounding now like I’m introducing the wrong type of article and trying to make the introduction longer. I’m totally not doing that, believe me. Okay? Anyways, the rules are simple. Only one track of a game per article. Oh, and feel free to leave a comment on the tracks, content of this article and or your opinion of the soundtracks of the GB(C) games. Who doesn’t remember the good old gym leader theme of Pokémon Red & Blue? As a kid I was always pumped whenever I heard this melody pop-up. I wanted to defeat that gym leader. Whenever I hear this melody, I get hyped. I know that something big is coming that has to do with Pokémon. I even remember that I sometimes let my gameboy play just hear this song. Since it’s the only way I can hear it “clean”. What I mean by that is that near the end of almost every version of YouTube, Pokémon battle sounds start playing. But hey, it’s still a memorable and nice track to listen too! There are two songs that makes me sometimes tear up of nostalgia in the Zelda series. One of these songs is Nayru’s song. The reason why is because it’s the first puzzle I solved in my favorite Zelda game. It was the start of a thrilling adventure I never forgot. As a kid I didn’t have a console or a good PC. So, I played a lot on my gameboy. So, that’s why my love for the gameboy games is so big. 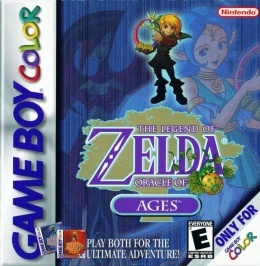 While I don’t remember if this was my first Zelda game or the NES remake on the GBA, but it was one of the first. It was also a different game then I used to play. Different from the pure puzzle games and platformer games. Yeah, the memories. At the other hand, it’s the Mario game I grew up with. It’s the first Mario game I ever played. Even when I played the NES game at my cousin’s house, I found that the NES game wasn’t as much fun as Super Mario Land. Something didn’t click with me. Wow, I got sidetracked extremely fast. But the memories behind this game are just too big. Maybe I should write an article about it…? So, I got a gameboy color… And what’s the first game I get myself? That’s right! Tetris DX! Why? Because my grandmom got a Gameboy color herself. In this gaming nostalgia article, I talked about how my aunt’s brick, I mean oldschool gameboy died. The only two games I could play on there were Pac-Man and Tetris. So, when I saw this, I wanted to play Tetris again. 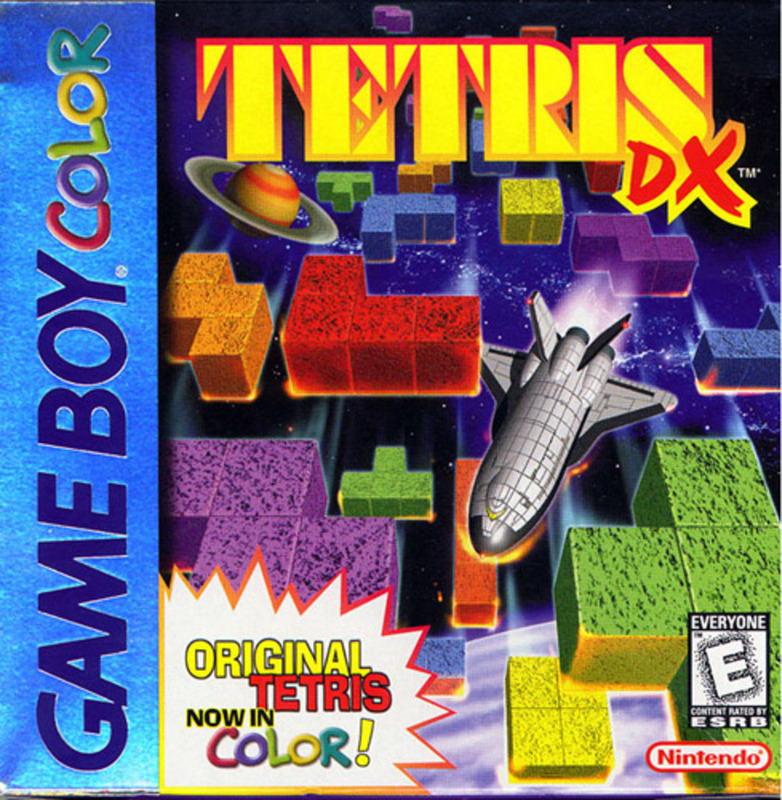 I have multiple stories about this game, but this game is the sole reason why the Tetris theme is so memorable to me. It’s one of the biggest tunes in gaming is it not? I was a kid right when the Harry Potter craze was in full swing. 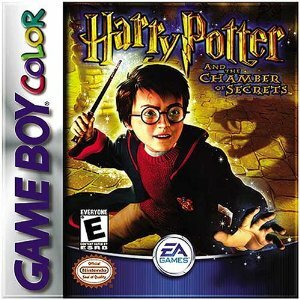 Besides Pokémon and Yu-Gi-Ho, Harry Potter was extremely popular with the kids. While this game was also made on the PC and several other consoles, I played the Gameboy Color version. I didn’t have any fancy consoles or the game on PC. But I enjoyed myself. I had both games, from the first movie and the second movie. The reason why I picked this track is because I had a hard time finding the music of the first game of the gameboy version. And this popped right up in my search results. As I feared, this article turned into a sort of gaming nostalgia article. When it comes to gameboy and gameboy color games I always want to talk about more then just the music. I hope you can forgive me for that. 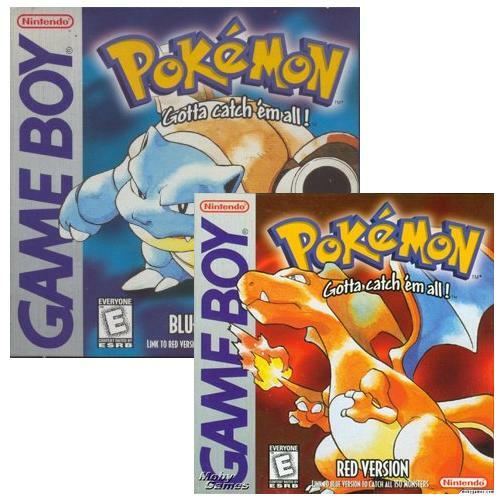 So, till Christmas, I will write a few articles of gameboy and gameboy color games. I’m going to try to do my best to not be overly nostalgic like in this article. It’s for that reason why I kept this article shorter then my usual articles. This entry was posted in Gaming Music and tagged 001, and, arpegi, blue, buttonsmashers, chamber, color, colour, crystal, extended, game, gameboy, gaming, GB, gbc, gold, harry, jea, Jonez, jonez001, jonezjea, more, music, neko, NekoJonez, nostalgia, Of, OST, Pokémon, potter, red, secrets, silver, soundtrack, special, such, The, version, yellow on November 29, 2014 by NekoJonez. Review #036: The Sims 2 (GBA) ~ Showtime! When I was young, I wasn’t allowed to spend too much time on the computer. So, that’s why I actually played a lot of handheld games. When I heard that the Sims got popular, I got myself the Sims 2 on my Gameboy Advance. While the early Sims adaptations weren’t the same as the original game, I did enjoy myself with this title quite a lot. But, there is a catch. Now that I’m older I can take a better look at it. Is it really as good as I remember? Or is it actually a terrible game? Well, it’s time to take a look at a Sims game from my childhood. Are you ready? I hope so! Also, feel free to leave a comment down in the comment section about the content of this article and or this game. I reply to every comment. It’s also creates a big happy feeling for me, so feel free to comment away. Story… In a Sims game?!? I couldn’t believe it myself at first. A sandbox game with a story. Well, to make this game fun they wrote a story and it’s quite interesting. You are in a TV-show but nobody of the citizens of the town know of it. While you complete the story, you have to try and make an entertaining TV-series. The story might be cheesy and forced, but it’s a good move of EA. I don’t think the gameboy advance would have been a great platform to port a Sims 2 game on. The actually tried to make something creative. Actually, to be honest, the story is quite decent. It isn’t the best that you have seen from EA, but when I’m able to recall parts of the story, some characters and such, then the story has done it’s job. But, this is actually extremely risky. Thanks to the story, this game isn’t very well received by Sims fans. I can honestly understand why. 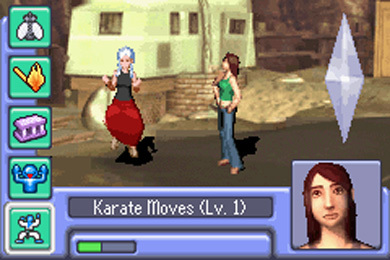 This game just has some Sims elements but that makes it far from an actual Sims game. The fans just had other expectations than this. So, in between episodes, you are able to upgrade your skills. This makes the game quite interesting. Since you need to decide which skills you are going to work on. If you don’t work on the right skills, you might not be able to advance in the next episode. Talking about episodes, let me get one thing clear. 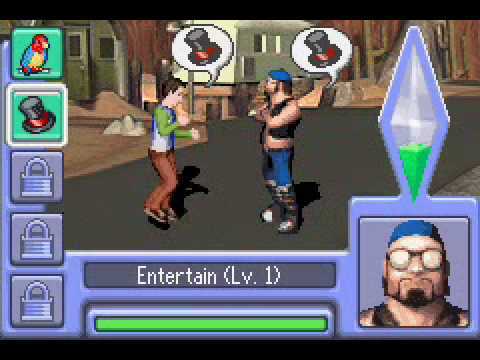 A big flaw in this game is that, in order to see the epilogue episode, you have to connect with another Sims 2 GBA game. This has been a very bad move of EA and you can’t actually play the last episode now on a legit cartrigde. Unless you are very lucky and you find someone or you do it by yourself. That was such a disappointment. Thankfully, the last episode you can play without linking up wraps up the story nicely. So, yeah. But the final episode is there, waiting to be played. But you can’t due to the reasons explained above. The gameplay is actually quite nice. You run around, solve mysteries, talk to sims, decorate your home… Well, there are various things to do. This game isn’t linear at all. The experience each playthrough will be quite different. A nice secret is that you can enter the directors room while playing. Of course nobody is there, but it’s a nice touch. An awesome thing is that there aren’t annoying bars that you need to keep up. This way you don’t need to babysit your Sims’s needs in order to have an enjoyable time with the game. There is just one bar, used for everything. Every action like eating or sleeping will raise that bar. But if you repeat those actions, it won’t raise that bar. The way to drain the bar is to have your actions being rejected in a conversation. There are also mini-games. While I don’t have the time to talk about them in this review, I can honestly say that they are quite good. I enjoyed playing them back when I was trying to beat this game and while I was replaying this game in order to review it, I enjoyed myself messing around with the mini-games again. We are nearing the end of this review. So, it’s time to talk about the other things outside of the story and gameplay. The length and difficulty of this game are just perfect for this game. While I wanted to play a bit more, I honestly think that they stopped at the right moment. If the game would have been longer, the game might had destroyed it’s own novelty. The game gets harder and harder each episode, but it doesn’t get too difficult. Getting enough money might be a challenge but as soon as you figure out how to abuse a certain game mechanic, it’s quite easy. I won’t tell how, but there is a way to farm money. The controls, music and design of this game are quite decent. They make great use of the gameboy advance and I think they help with the immersion. As soon as you give this game a chance, you get a nice experience. While it’s quite clear that I haven’t talked about everything in depth, I think it’s time to move on to the conclusion. I like to leave questions unanswered so that players who are actually interested in the game might find some surprises. In my reviews I mostly talk about my experiences with the game and talking about it for too long, would be boring in my opinion. Enough rambling, time to give this review a conclusion. – The final episode is locked. – A way to farm money. This game has problems for sure. It isn’t perfect. But with the amount of polish that this game has, it makes for an enjoyable experience. The game isn’t very memorable, but it isn’t boring. While a Sims fan might not have a great time with this game, I think a gamer that likes to play adventure games will like this game and play it until the last episode, they can play unless they can link it to another game. This entry was posted in Reviews and tagged 001, 2, a, advance, adventure, arpegi, beat, buttonsmashers, cheat, ds, ea, first, gain, gameboy, games, good, how, impression, information, is, it, jea, Jonez, jonez001, jonezjea, mechanics, money, month, more, much, neko, NekoJonez, Nintendo, Preview, review, sick, sims, special, story, tags, The, To, two, walkthrough, with on November 9, 2014 by NekoJonez.